Explore the physical world with MiniQ robot! This is a MinQ 2WD Plus which is based on our MiniQ 2WD Chasis. To make it suitable for educational, competions and fun to play with, we also added extra modules such as Romeo V2 All-in-one controller, Sharp GP2Y0A21 Distance Sensor and 9g micro servo into this kit. What makes it different from the original miniQ robots is that it comes with an upper deck, which allow you to install sensors, servos and even do some prototypings. The leaf pads on the surface make it an ideal on-the-go prototyping board, and it is stackable. You can not only solder DIP components but also solder SMD components with this upper deck. Whatsmore, we have soldered motor wires and glued for you in advance. 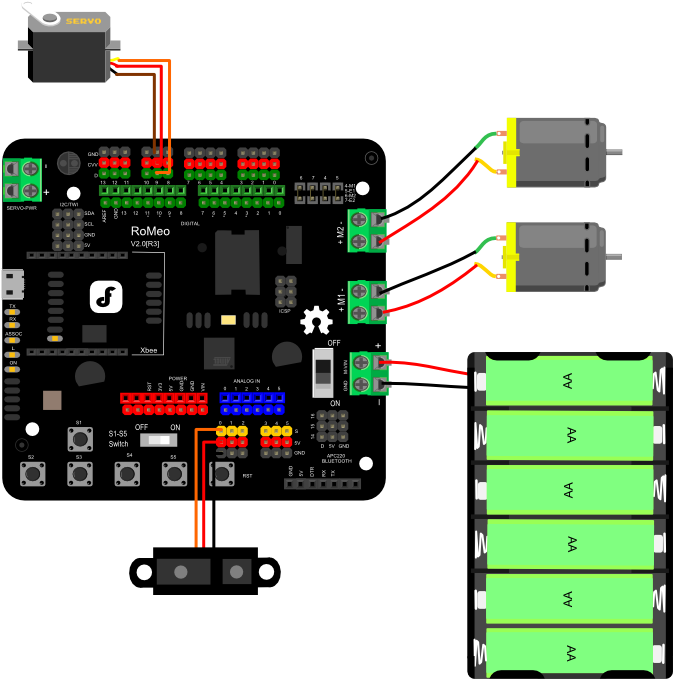 With this kit you'll be able to play immediately after simple assembling and programming. Our sample codes include many interesting senarios such as obstacle avoidance, enjoy! # This Sample code is for testing the MiniQ Discovery Kit. 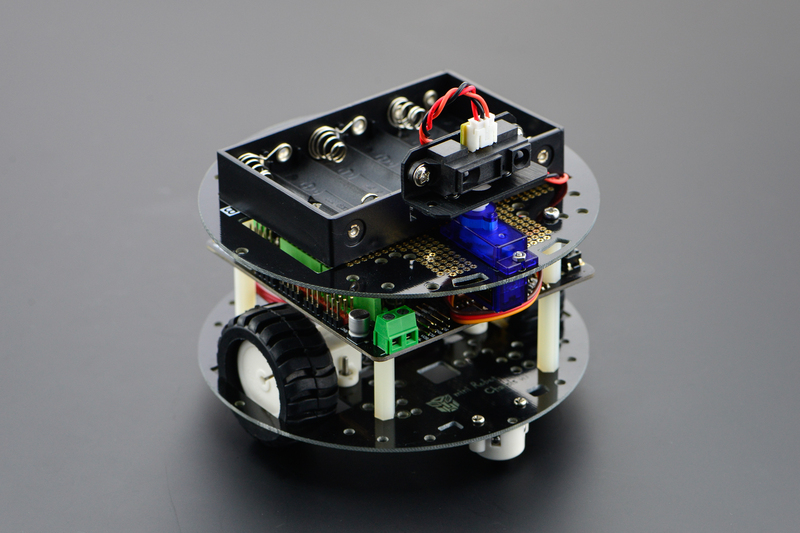 Get MiniQ Discovery Arduino Robot Kit from DFRobot Store or DFRobot Distributor.